Any list of warm weather fabrics would not be complete without mentioning linen. Thanks to the starchy yet flexible quality of its individual fibers, linen fabrics do an excellent job of providing airflow and circulation in styles that are pure linen or mixed with other fabrics. For Summer, our linen spread includes short and long sleeve sport shirts, shorts and pants, and even suits and sport coats. Find your linen look inspiration here. 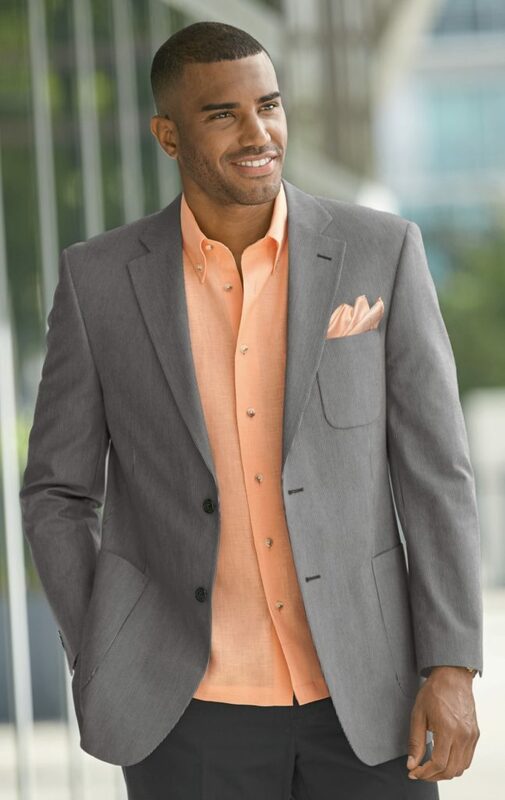 Linen blends are a great way to incorporate the visual interest and natural performance abilities of linen and combine them with classic business fabrics like wool, silk, or cotton. Depending upon the combination, the mix will add structure or softness to that traditionally casual fabrication, firmly establishing it a place in business casual-wear. 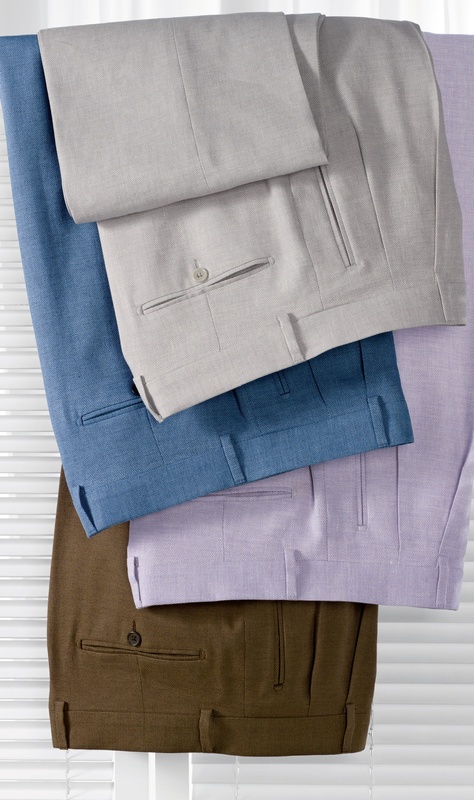 One of our most luxurious blends is our Italian Textured Pant, made from tropical weight wool, linen, and breathable cotton. 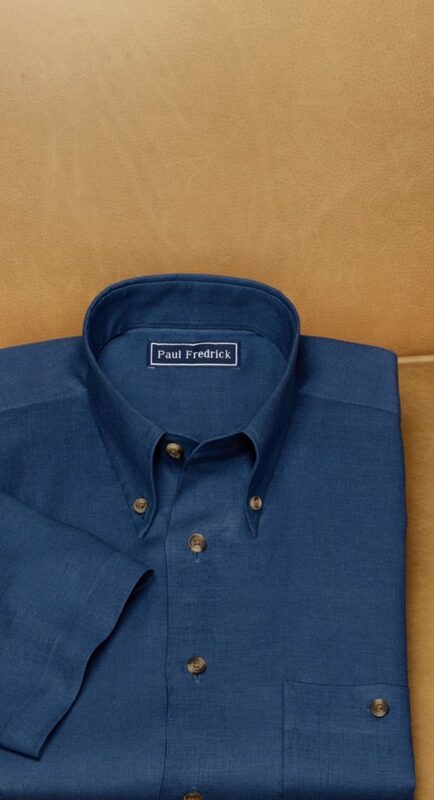 A range of summer-worthy colors and a hint of texture make this style an easy classic. Equally popular, especially in the South, is of course seersucker. It’s a type of pure cotton fabric that is woven so as to create a texture that serves simultaneously as ornamentation and as an effective construction element designed for cooling. The seersucker suit is a very particular regional look, and it can veer a bit too bold for some. If that’s you, consider cotton pincord instead! It works very similarly to seersucker but is more subdued in appearance. Of course, we are quite fond of both styles, so it ultimately comes down to your own comfort level. Are you a devotee of any of these warm weather all-time greats? Have we missed any? Comment below!